I had a recent commission for a new pet care company, The Usual Suspets, who required some new branding in the form of a cute and friendly rabbit logo. The concept behind this new logo was to be bright and friendly and also inject a great element of fun into the company. So with a name like ‘The Usual Suspets’ the main idea and concept behind the logo was to have a cute rabbit either holding a line-up board or even be stood in front of a police line-up. Massive, floppy ears were a must as the client had a favourite old bunny called Bobby, so he was to be the inspiration behind to design of the logo. I went to work creating various sketches and ideas for the logo, both with cute looking rabbits and also my usual, zany off the wall style too! It was agreed that he should look cute and fluffy and so I went onto the next stage of fully digitising the logo as a vector. Being a logo, the text needed to be prominent, so I managed to find myself a typeface that I could edit to look like the little plastic letters used on a line-up board. I then added some paws and buck teeth peeking just over the top. In order to try and get a bit more of a 3D feel for Bobby, I opted to use some colour gradients on the rabbit logo – not something I usually do, but this really helped to emphasise some of the detail. Of course, with the rabbit only being grey and brown, I felt it was a little flat colour-wise, so we’ve also included a nice, fresh orange carrot! The logo is to be used on the van and also on all elements of stationery too, so I also added an extra thick band of black on the outside of the logo, just to make it pop! Overall, very happy with this logo design, as was my client and looking forward to seeing the van on its rounds in our local area! 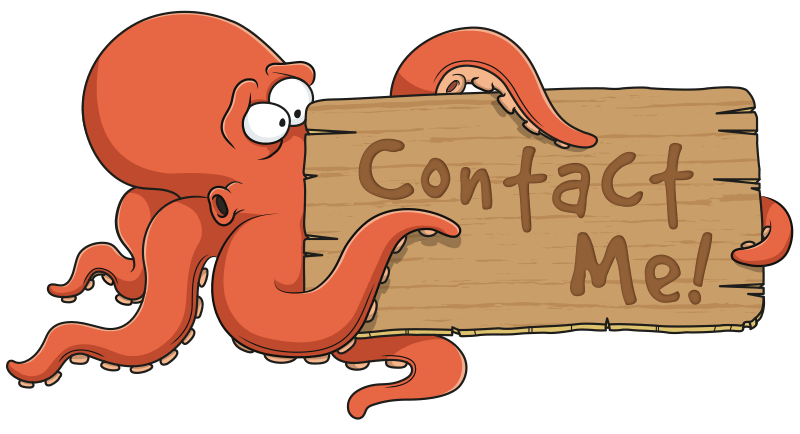 If this pet care logo is something you like the look of, why not visit my cartoon logo page for more examples of my work.